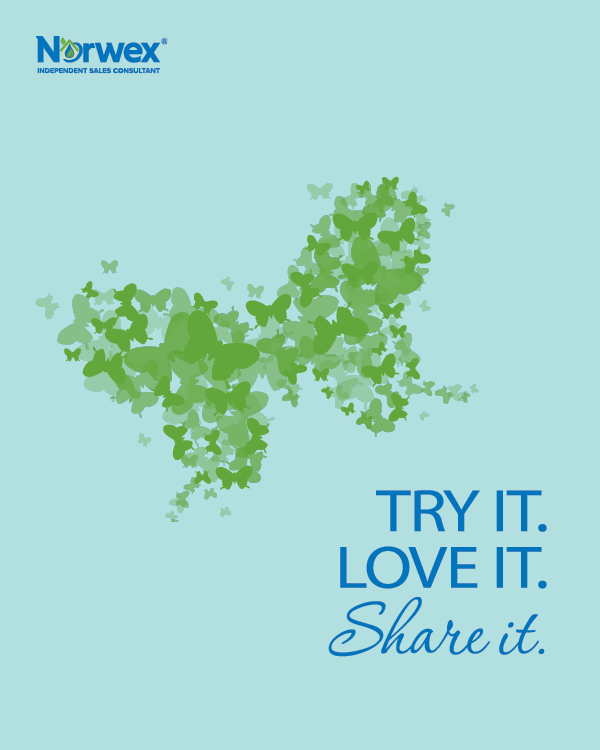 Psst…..yes, you. Do you need a quick gift because you don’t have your act together and you don’t have a gift for your sweet Aunt’s birthday? For those of you who said “yes”, stop talking to your computer. You will look a bit off your rocker to those who are blessed to be in your presence. But if you need a gift in a hurry, for whatever reason, these are quick and easy. And pretty cute, if you ask me. But you didn’t. 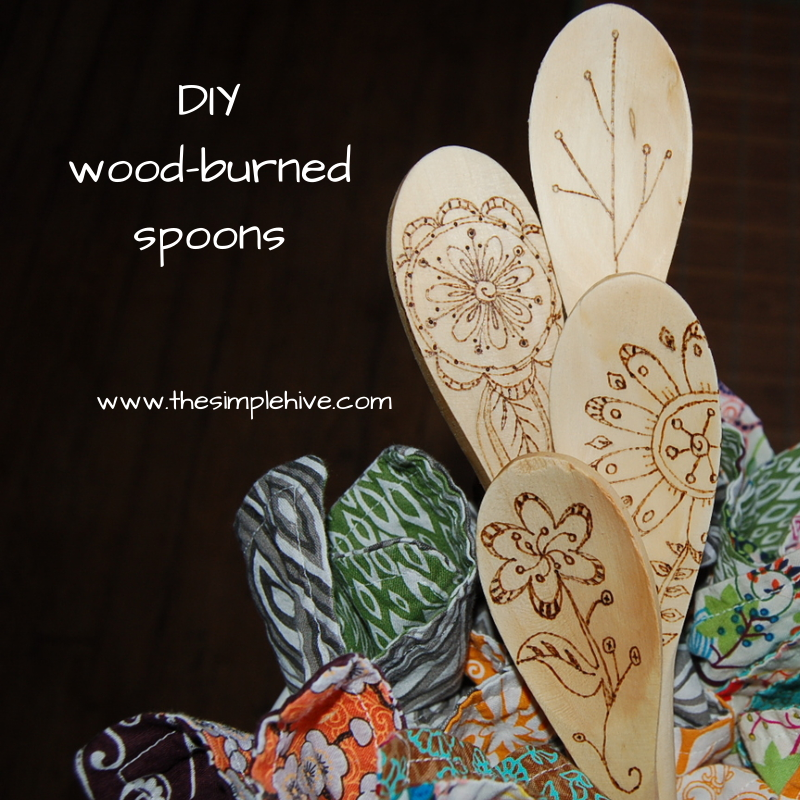 A few, plain wooden spoons and a wood burning tool is all you need. 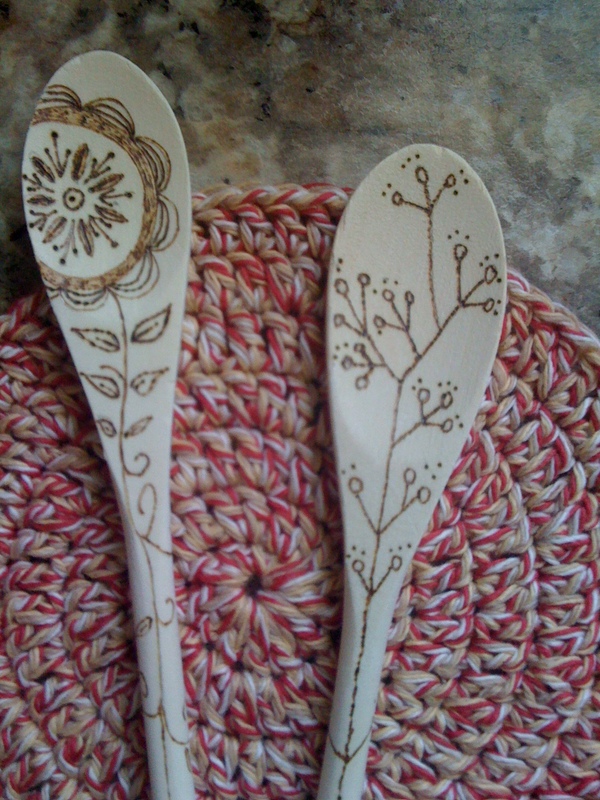 Plain wooden spoons, a wood burning tool and pencil are all you need. You’ll need some food-grade mineral oil if you want to seal them. It’s optional, but I opted for it. 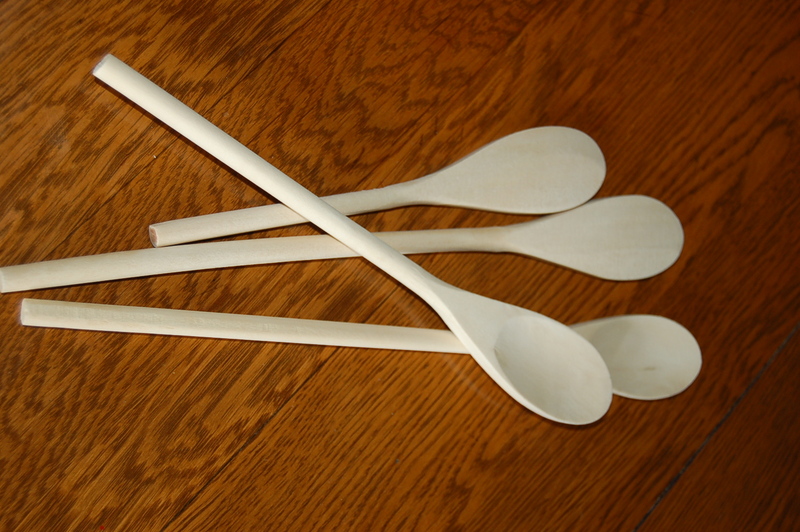 Plain wooden spoons, a wood burning tool, a pencil and mineral oil. That’s really all you need. 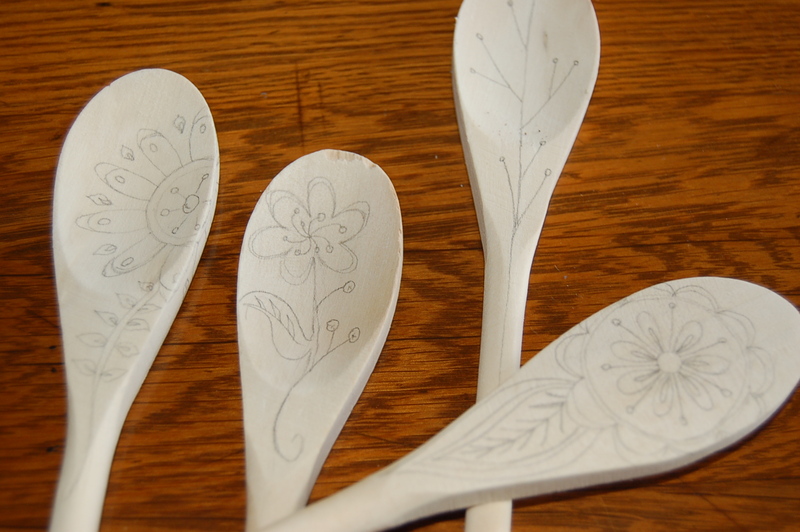 Lightly trace out your design on the spoons with a pencil. 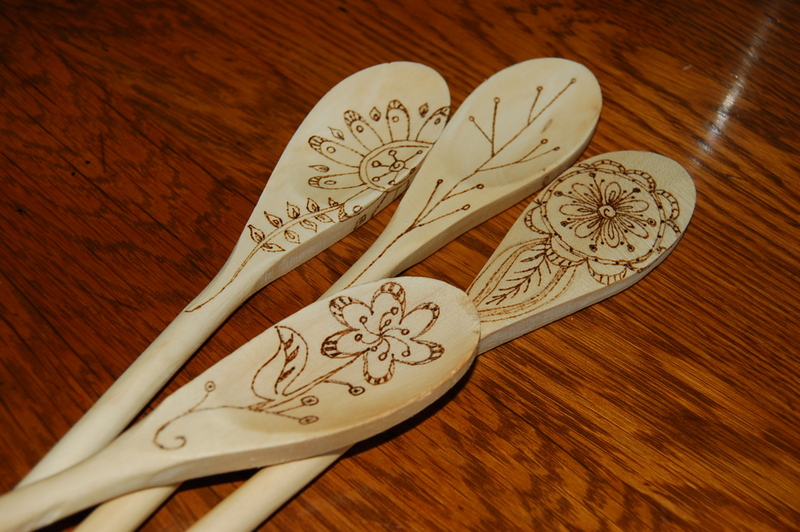 Use the wood burning tool to go over the pencil lines. You can shade areas at this point. When finished, rub food-grade mineral oil into the wood and wipe off. This is a set I made for my mom for Mother’s Day last year. I didn’t have my act together then either. No surprise there. I’m going to watch The Jerk now.